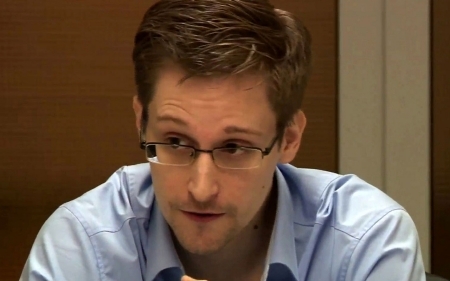 Two Norwegian lawmakers say they have nominated former NSA contractor Edward Snowden for the 2014 Nobel Peace Prize. Snowden fled to Russia, where he has requested temporary asylum after leaking classified security documents detailing widespread phone and email surveillance by the National Security Agency. In some cases, the agency shared the data with British, French and other countries’ intelligence units. The files also showed that the agency spied on international heads of state, spurring a fierce debate on privacy, sovereignty and security issues. Snowden has repeatedly asked governing powers to reconsider the balance between privacy and security, and he has demanded that protections for whistle-blowers such as himself be put in place before he might return to the United States. President Barack Obama on Jan. 17 called on the government to reduce its collection of phone data from millions of Americans. He ordered intelligence agencies to obtain permission from the Foreign Intelligence Surveillance Court before accessing such records. Obama had previously defended surveillance programs as necessary tools in the fight against terrorism. But recently he has attempted to straddle the line between intelligence gathering agencies and privacy advocates. German Chancellor Angela Merkel warned Wednesday that countries that spy on their allies risk destroying trust. Merkel used her inaugural address to parliament after her re-election to slam the United States and Britain over their spy programs. Snowden will be one of scores of names that the Nobel committee will consider for the prestigious award. The five-member panel won’t confirm who has been nominated, but those who submit nominations sometimes make them public. Nominators, including members of national parliaments and governments, university professors and previous laureates, must enter their submissions by Feb. 1. Prize committee members can add their own candidates at their first meeting after that deadline. Here’s a German TV interview with Edward Snowden.